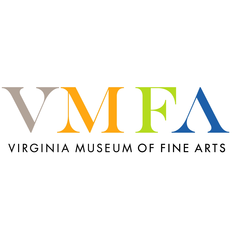 VMFA is a state-supported, privately endowed educational institution created to benefit the citizens of the Commonwealth of Virginia. In the midst of the Great Depression, on January 16, 1936, Virginia’s political and business leaders bravely demonstrated their faith in the future and their belief in the value of art by opening the Virginia Museum of Fine Arts in Richmond. The English Renaissance-style headquarters building designed by Peebles and Ferguson Architects of Norfolk barely hinted at the innovative mandate given to the fledgling institution: the Virginia Museum of Fine Arts was to serve as the state’s flagship art museum and as the headquarters for an educational network that would bring the best of world art, past and present, to every corner of the commonwealth.